‘Clients love it when you come up with something that prevents them from paying too much taxes,’ says Dan Bortolotti, portfolio manager at PWL Capital Inc. in Toronto. Building tax-efficient portfolios is a year-round job for financial advisors, but tax-filing season is a great opportunity to review strategies with clients that can add value to their portfolios and to the client-advisor relationship. To do that, advisors should go beyond discussing investment products and seek to better understand each client’s tax situation to ensure the advice fits with their clients’ big-picture plan. “It’s important for you to understand your client’s tax situation in order to make sure you’re not doing something to cause them to lose some kind of tax benefit,” says Dan Bortolotti, portfolio manager at PWL Capital Inc. in Toronto. An example might be taking an additional registered retirement income fund withdrawal that could lead to a clawback of the Old Age Security benefit. Effective tax planning can have a greater impact on clients’ portfolios than fees – even though fees garner more attention, Mr. Bortolotti says. Some small business owners have the option to sprinkle income to family members in lower tax brackets through dividends as a way to lower the family’s overall tax bill. Ottawa cracked down on this benefit beginning with the 2018 taxation year by restricting it to family members who are considered active in the business, which means they contribute an average of 20 hours a week throughout the year. There are some exceptions, including for family members who are 25 years or older and hold shares that have more than 10 per cent of the votes and value of the company. There is also a “retirement exception” for business owners who are 65 years of age and older and pay dividends to a spouse or partner. With the perk now having been pulled for families who own a small business and don’t meet the aforementioned criteria, “it makes sense to look at other ways to do some tax planning,” Mr. Bortolotti says. Small business owners will also have to pay attention to new passive investment income rules that kick in this year. The change means businesses will lose access to the small business tax deduction once they earn more than $50,000 in passive investment income in a year and lose access to it entirely once they earn more than $150,000 a year. Depending on the business owner and his or her circumstances, “it could now make more sense to get money out of the corporation and into personal accounts in a tax-efficient way,” Mr. Bortolotti says. This strategy allows investors to sell a security that has gone down in value and book the loss. Although there are no immediate savings, the loss can be carried back to offset gains in previous years or be held to offset gains in a future year. The strategy is often deployed at the end of the year, but Mr. Bortolotti says it should be used year-round. 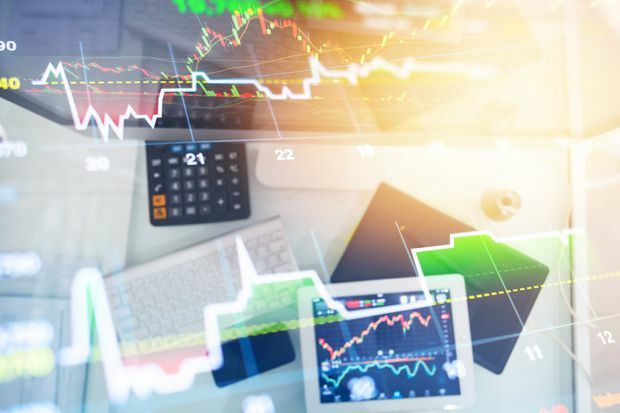 Although it may have been a good move to make at the end of 2018, given the market downturn in the fourth quarter, that’s not always the case. If there’s a market correction in February, for example, do it then. “Don’t wait until the opportunity is gone,” Mr. Bortolotti says. The TFSA is one of the most popular tax-efficient investment vehicles available as clients don’t pay taxes on the gains or earnings within their TFSAs. Statistics Canada data reveal that 40.4 per cent of Canadian households contributed to a TFSA in 2015, the latest year for which statistics are available, compared with the 35 per cent of Canadian households that contributed to a registered retirement savings plan (RRSP) that year. Including the TFSA contribution annual limit increase to $6,000 in 2019 from $5,500 in 2018, the cumulative TSFA limit is now $63,500 for investors who were at least 18 years of age when the TFSA was introduced in 2009 and have been living in Canada during that time. “The TFSA is a great tool that can be used as a rainy day fund, to save for large ticket items or to save for retirement,” says Mariska Loeppky, director of tax and estate Planning at Investors Group Inc. in Winnipeg. Advisors should also remind clients that funds can be withdrawn from the TFSA at any time for any purpose, Ms. Loeppky says. “[However,] care has to be taken when funds are recontributed to a TFSA in the same year as the withdrawal, as that could result in you being subject to overcontribution penalties,” she says. Advisors should encourage clients to top up their TFSAs – and there are different ways to go about it. “If clients have non-RRSP investments, they can reduce the taxes on the investment income by transferring funds/securities to their TSFAs,” says Warren MacKenzie, head of financial planning at Optimize Inc. in Toronto. Clients should be encouraged to maximize their RRSPs each year, whenever possible. For 2018, the upper limit was $26,230; in 2019, it will be $26,500. There’s also renewed focus among small business owners to use the RRSP, particularly as the new passive investment income rules kick in, Ms. Loeppky says. “[Small] business owners shouldn’t just focus on corporate tax deferral and choose to pay [themselves] just dividends as those dividends don’t generate the ability to contribute to an RRSP,” she says. Spousal RRSPs also can be used for income splitting in retirement, especially for couples in which there’s a high-income earner and a low-income earner, says Ms. Loeppky. In these situations, the high-income earner can contribute to his or her spouse’s RRSP.